Last month we used our all seeing eye (AKA Google Street View) to have a peak at Future Publishing’s offices. It only seems fair that this month we take a look at the Bournemouth-based Imagine Publishing. Imagine Publishing are responsible for Retro Gamer, X360 and Play – the longest running PlayStation magazine out there. 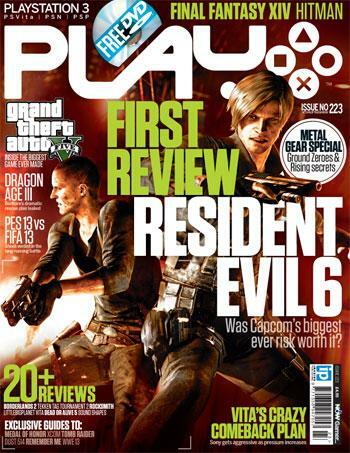 They also publish gamesTM, a magazine that has come on leaps and bounds over the past few years. We even prefer it to EDGE these days. Bournemouth is somewhere we’re more than slightly familiar with, and it’s smaller a town than most expect. The shopping mall may look fancy with its colourful and eye-catching sign outside, but inside there are just five shops… and one of those (formally GAME) is currently empty. Gamestation also closed when GAME had their store cull, but CeX opening right next door could have had something to do with that. Anyway, we’re getting off the subject here. Off to Richmond House we go. A fancy building it is not, but it’s just a brisk walk downhill into the town centre. By our reckoning it’s only a ten minute walk to Bournemouth Pier which would be handy if the arcade scene was still thriving. Sadly the pier isn’t even a place where the Retro Gamer team could carry out research – it’s mostly fruit machines and UFO catchers full of stuffed toys. There was a Sonic the Hedgehog air hockey table last time we visited, but we don’t think Retro Gamer is going to be covering that any time soon. We’ve noticed that CeX rarely has any promotional copies of games for sale, as opposed to CeX in Brighton – which is where Eurogamer is based. Clearly Imagine Publishing’s staff share or keep hold of their free games, instead of flogging them as we assume Eurogamer does. Good on ‘em.